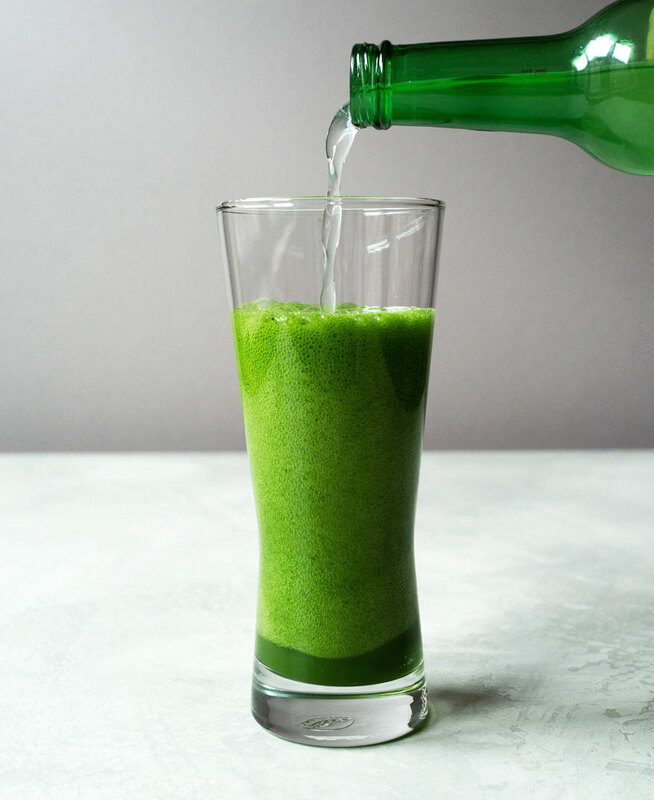 A non-alcoholic version of matcha beer using ginger beer soda. It’s surprisingly delicious and quite refreshing! 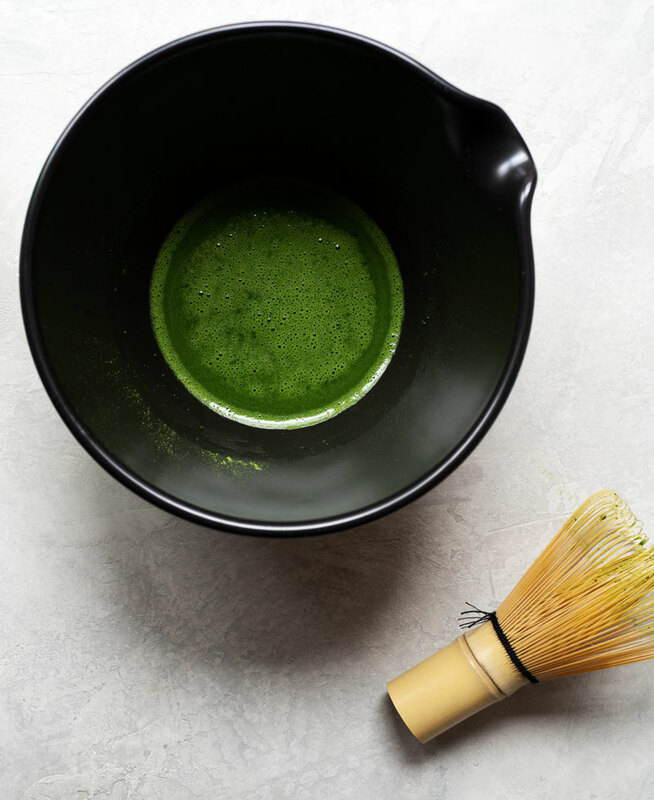 On the menu at 29b Teahouse in New York, there is a matcha drink that’s been getting a lot of buzz. Using high quality matcha, their Matcha Beer is a lovely foamy blend of tea and alcohol. I don’t drink alcohol so I decided to make a non-alcoholic version. At first I was going to mix matcha and sparkling apple cider, but chef Fred at Te Company suggested ginger beer, which is genius. Matcha and ginger beer are FANTASTIC together. I couldn’t believe how good it was. 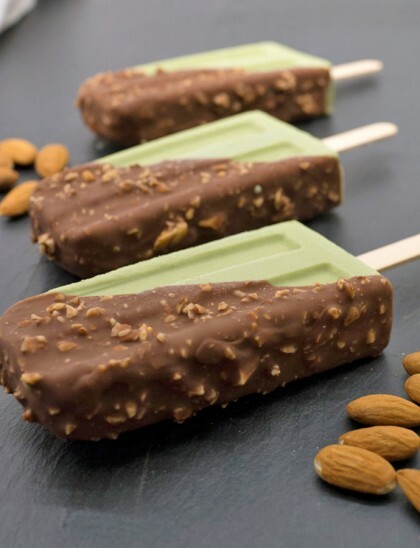 The flavors just work so well — you HAVE to make this. It’s so good. Ginger beer is a carbonated soda, usually non-alcoholic, made from fermented mix of fresh ginger, yeast, sugar, and water. The fermentation takes a couple of days and this process creates natural carbonation. Ginger beer tastes more intense and is not as sweet compared to ginger ale and has less carbonation. Get one that’s a bright green in the $15 – $30 range. Get the lower priced matcha if you’re shy about splurging. I used Regatta ginger beer. To show off the foam at the top. 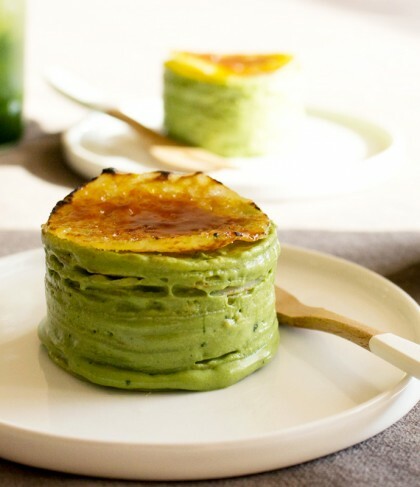 With matcha for recipes, I’ll usually say to go with one in the $15 – $25 range, but for this, you can definitely go with even better quality in the $40 – $55 range. The better the matcha quality, the brighter the green and this drink’s color is really what makes it stand out. You don’t want a dull green which can make it look unappealing. Sifting matcha is key to preventing clumps so I always make sure to use a mesh strainer. Instead of using hot water to make matcha tea, ginger beer is used as the liquid. Just a little is needed to make the concentrate. 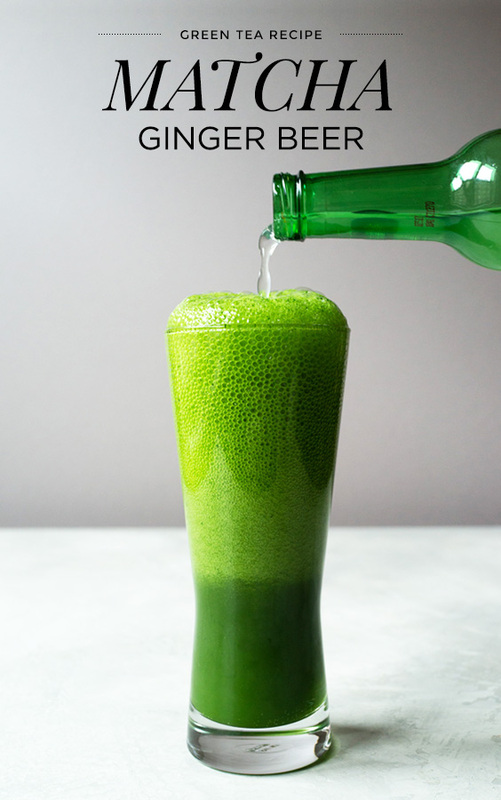 I had planned on making this matcha ginger beer recipe from scratch, making my own ginger beer but the minute I read that it takes 2-3 days to make, I noped it out of there. First combine the matcha with a little ginger beer. I used my matcha whisk, but if you don’t have one, you can just use a spoon to stir. No need to vigorously whisk for this. 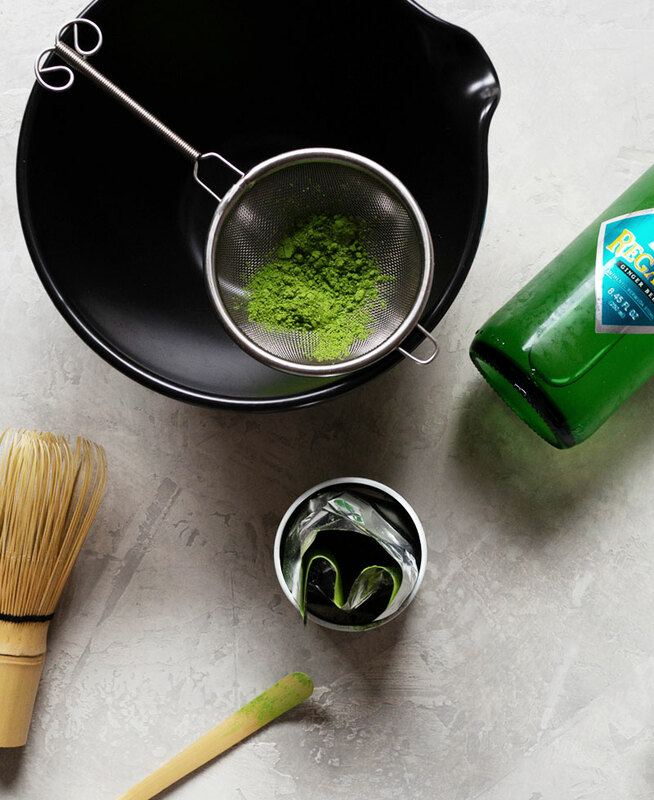 Just a slow, half circle motion is enough to mix the matcha powder with the ginger beer. 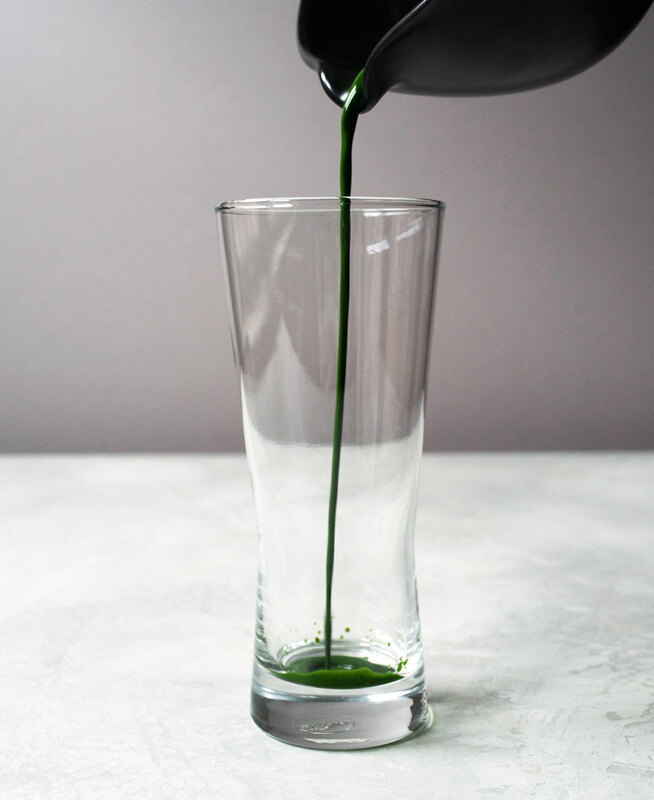 In goes the liquid matcha into a tall glass. Then start pouring in the ginger beer on top of the matcha concentrate. It’ll fizz right away. Since there’s sugar in the ginger beer, no additional sweetener is needed. 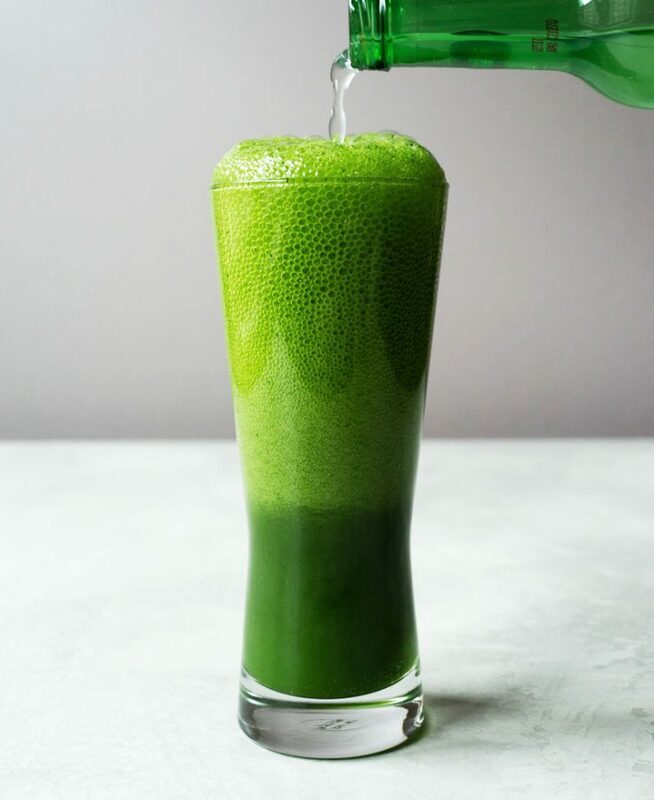 Once you stop pouring the ginger beer, the drink will start to settle a bit with the bottom becoming increasingly more green. Unlike the matcha beer with alcohol, the foam is a lot drier and the bubbles are bigger. It doesn’t hold the bubbles as long but it’s still fun to drink. If serving to guests, have them pour in their own ginger beer so they can see the foam forming. 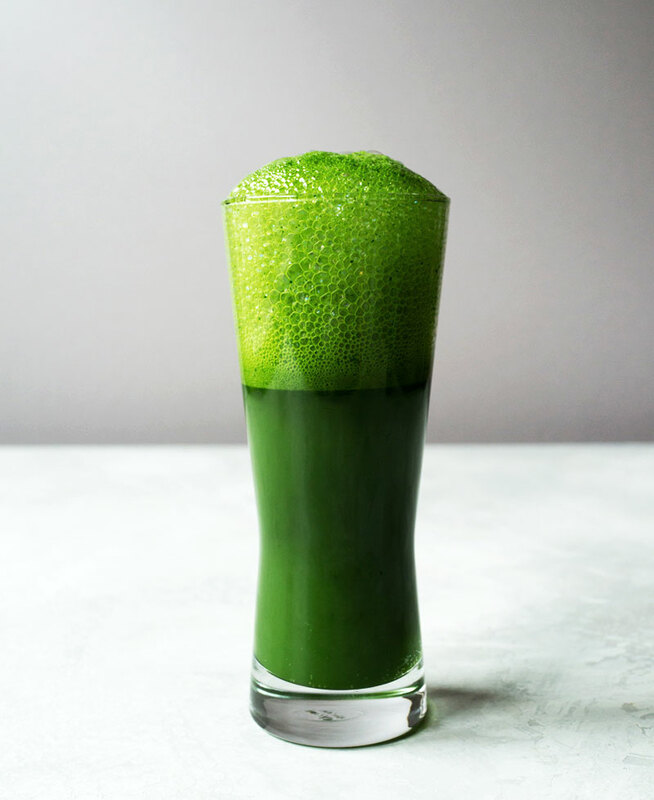 If you want to take this drink to the next level, add a scoop of vanilla ice cream and you’ve got yourself a decadent matcha ice cream float. 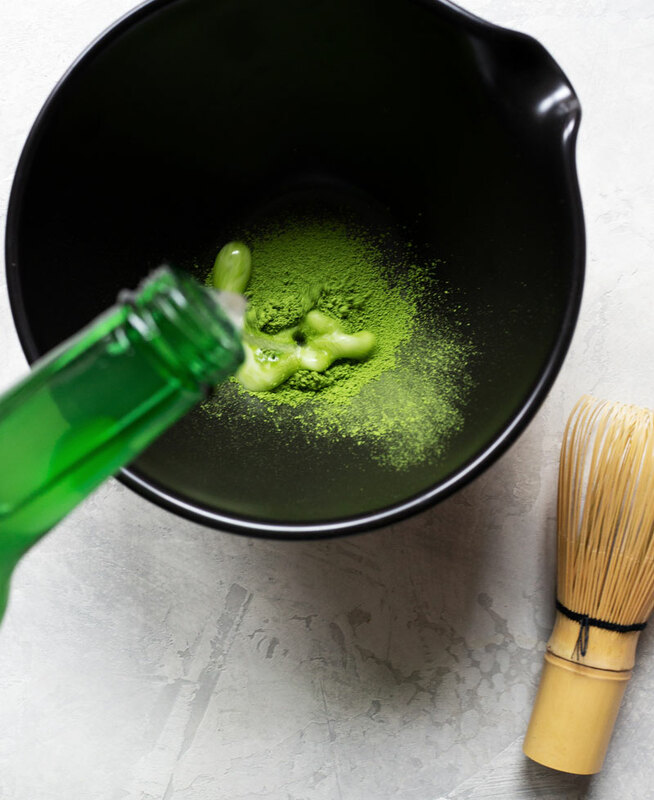 A non-alcoholic version of matcha beer using ginger beer soda. Into a matcha bowl, sift in matcha. 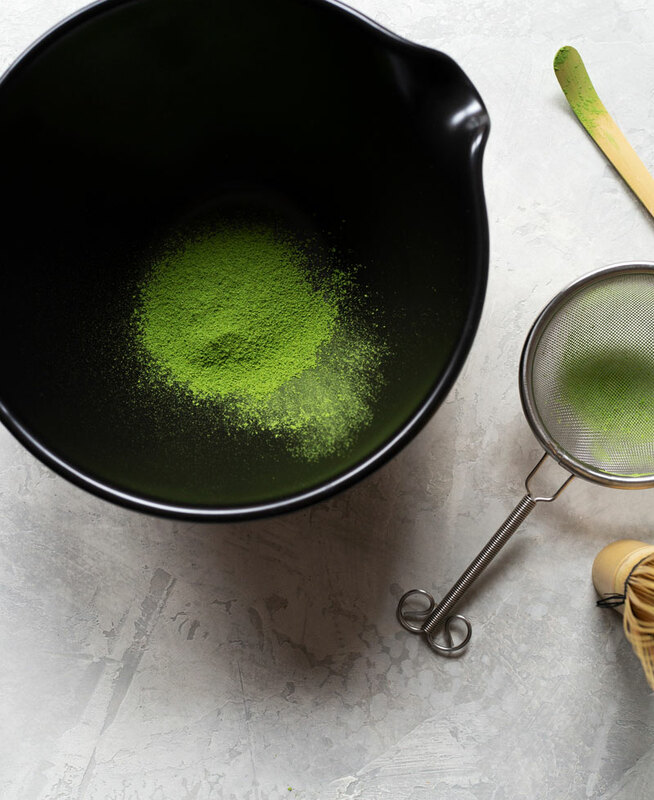 Add 4 tablespoons of ginger beer into the matcha powder and whisk to combine. 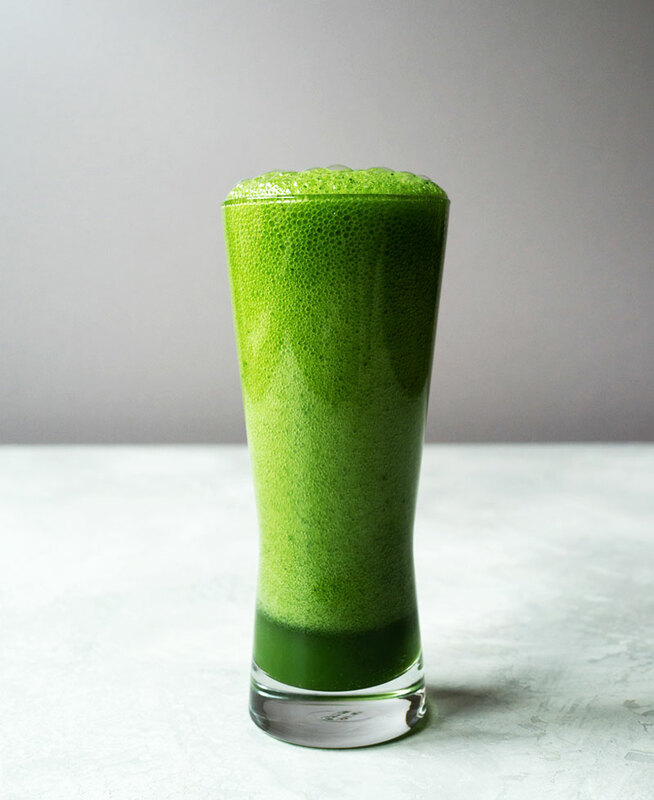 Pour matcha mix into a tall glass and top with ginger beer. Thanks for linking to my ginger beer! 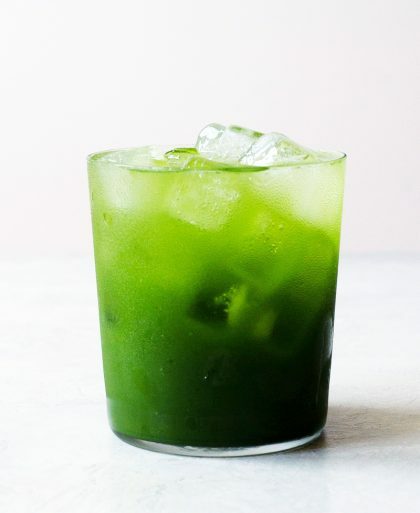 Your matcha green tea ginger beer sounds super delicious! Hi Bintu, you ginger beer drink recipe looks perfect for the summer!